Ready Set Ride – Assisting individuals with physical, emotional and developmental challenges through therapeutic equine assisted activities. Assisting individuals with physical, emotional and developmental challenges through therapeutic equine assisted activities. There is always someone waiting for you at the barn. Looking forward to an exciting and prosperous 2019! Join our family and find out how socialization, speech and occupational development can be acquired through our program! Every hour and smile given by our volunteers makes one more magical moment possible. See how you can make a difference! Whether your a local business or a member of the community, your helping hand can make a WORLD of difference in the lives of everyone at Ready Set Ride with the smallest of donations. 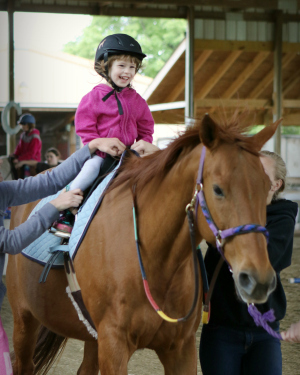 Since 2001, Ready Set Ride Therapeutic Recreation Facility has been assisting children with special needs by providing horseback riding services. Located in Plainfield Illinois, students as young as three years of age come from all over the Chicagoland area. Ready Set Ride bases its program on developmental techniques utilizing the horses as a means of mobility for the children. 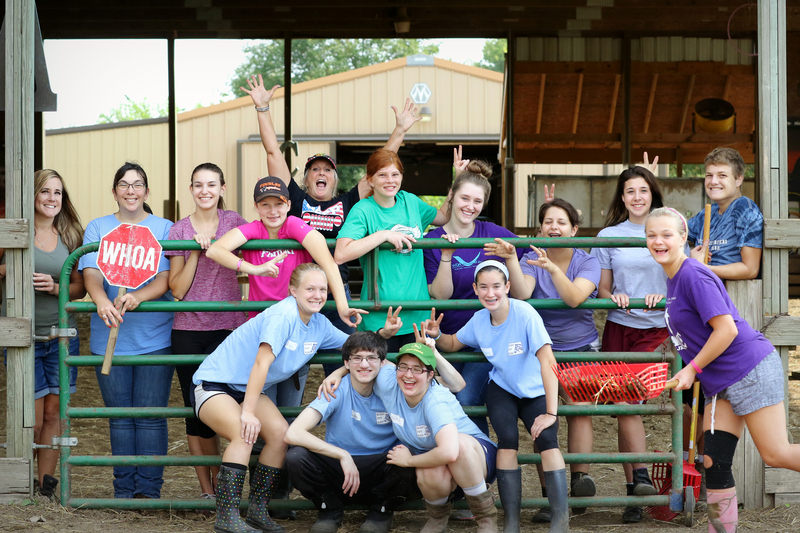 Certified therapeutic riding instructors guide the students and closely monitor individual needs to encourage consistent improvement. Therapy is conducted in the form of games on horseback which incorporate physical, speech, occupational, developmental and recreational therapy. 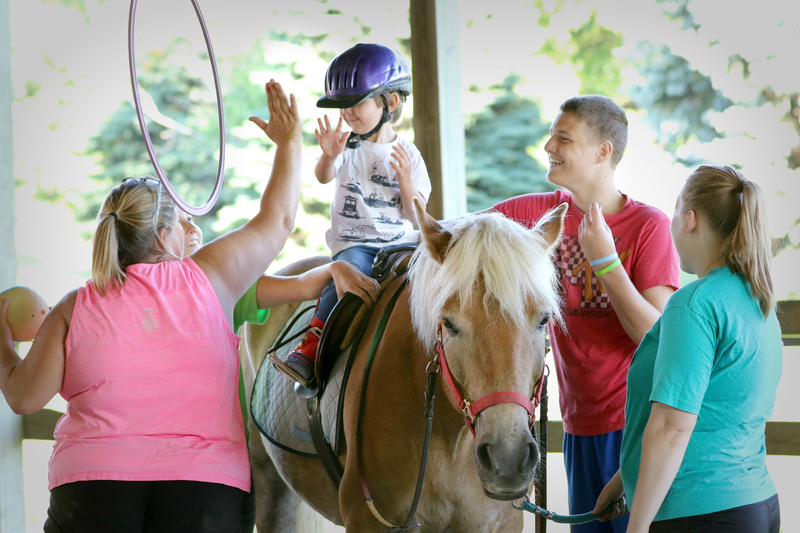 Ready Set Ride's mission is to provide therapeutic equine recreational activities to special needs or terminally ill individuals regardless of race or religion. Our community is part of why we have been around for so long. Without the support from local businesses, the Villages of our surrounding neighborhoods and all the friends and family we wouldn't be able to operate and do all that we do. One of our very own community members, Anthony from Caponeyboy Productions is the perfect example. He took the time to come out to the barn, see what we are all about and produce this piece for us! Whether you're interested in riding, volunteering or donating to Ready Set Ride, we want you to know that every single person riding, hour given or dollar donated makes you a critical part of our program! Find out what others are saying after their experiences at RSR! Follow us on Facebook, check out training videos on YouTube and see the latest pics on Instagram! Most photos on www.readysetride.org are courtesy of Sue Majchrzak Photography.